A recent Gartner report concluded that a bank’s customer’s lives are becoming increasingly more digital. With technology enabling better informed decisions, the digital banking experience is a critical competitive differentiator. 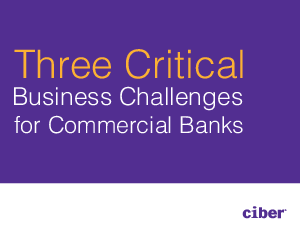 However, the banking industry faces a huge challenge to digitally transform their businesses to run more effectively.